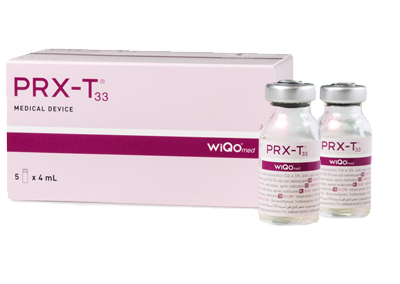 PRX-T33 is a facial peeling procedure based on trichloroacetic acid (TCA) which is a patented formula that combines hydrogen peroxide and trichloroacetic acid (TCA). 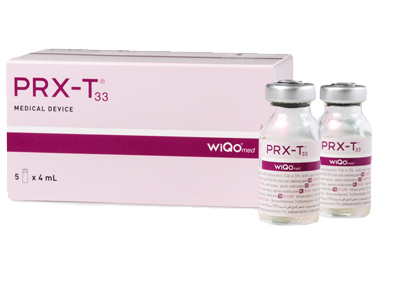 PRX-T33 is a non-ablative chemical stimulation of the dermis, resulting in needle-free bio-revitalisation. PRX-T33 is a non-invasive treatment that works as a biorevitalizer of the skin of face and body but also for the treatment of scars, melasma, stretch marks and for the prevention of dermal ageing.